Singtel said on Thursday it would take up its full entitlement to regional associate Bharti Airtel’s 250 billion Indian rupee (US$3.5 billion) rights issue, subscribing for 170 million new shares for 37.5 billion rupees, or around US$525 million. Major shareholders Bharti Group and Bharti Telecom intend to subscribe for their full entitlement, although Bharti Telecom will renounce in favor of Singapore state-owned investment firm GIC, which will commit around 50 billion rupees, or around US$700 million, it said in a filing to SGX on Thursday. Once the rights issue closes, Singtel will remain the single largest shareholder in Airtel with an effective interest of 35.2 percent, diluted form 39.5 percent previously, the filing said. Between the major shareholders and GIC, a total of 67 percent of the rights issue has been committed, it said, adding that in the event the issue is under-subscribed, the major shareholders could take up additional rights shares. Earlier this week, Moody’s Investors Service cut its outlook on Singtel’s rating to negative from stable, in part due to concerns about the Singapore-based telco taking on additional debt to fund the rights subscription. But Singtel has remained optimistic about the outlook for Airtel. Arthur Lang, CEO of Singtel’s International Group, said the participation in the rights offering reflected confidence in the future of the Indian market. “Airtel has performed well despite business headwinds and is consolidating its position in a more sustainable market. Our partnership with Airtel spans some two decades and we continue to take a long-term view of India, having recently invested in Bharti Telecom and Airtel Africa,” Lang said in the statement. 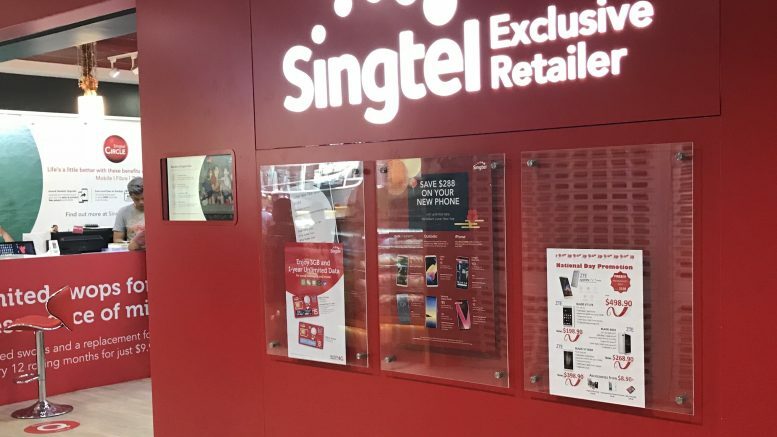 Singtel said the rights issue takeup was in addition to around S$900 million of investments over the past year, including a US$250 million direct investment into Airtel Africa. India is the world’s second-largest mobile market, accounting for 15 percent of the global mobile subscriber base, Singtel said, citing data from GSMA. Airtel, which has operations in 18 countries across Asia and Africa, has earmarked the proceeds to reduce leverage and strengthen its balance sheet amid continued investment in networks and spectrum, the filing said. The rights issue was at a ratio of 19 shares for every existing 67 shares, for around 28 percent new shares, with a rights price of 220 rupees a share, or a discount of 31 percent to the market closing price of 318.05 rupees on 28 February, the filing said. In addition, Airtel said in a separate filing that it plans to issue a foreign currency perpetual bond of up to 70.0 billion rupees, or around US$1 billion.